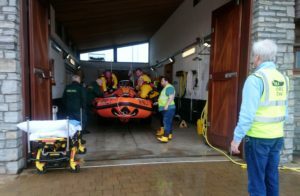 Inshore lifeboat George Bearman II launched at 2.24pm on 6 February to assist Exmouth and Beer Coastguard Rescue teams on Rodney Bay beach. A 73 year old man needed medical assistance at a location unaccessable by ambulance. 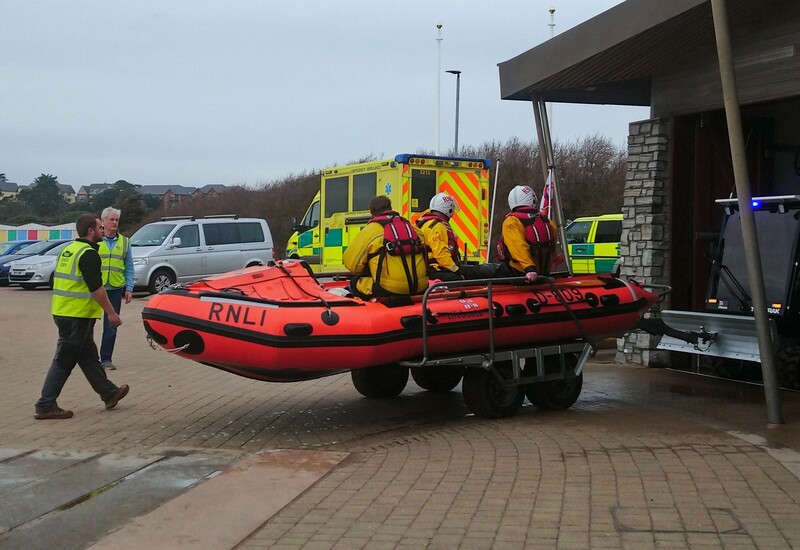 Three Exmouth RNLI Crew volunteers were on scene within five minutes. Two of the Crew brought the basket stretcher ashore to the casualty on the beach and together with four coastguards, recovered the man back to the D class lifeboat. 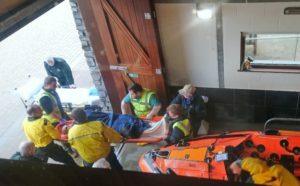 On arrival at the lifeboat station, the casualty was passed over to an awaiting ambulance crew, with assistance by Shore Crew volunteers and reunited with his wife he had been walking with.